Suffering is an ephemeral state. Not physical pain exclusively but also the mental state that accompanies pain of all degrees. Pain is what the person says it is and so is suffering. Pain and suffering, although co-mingled, are very different aspects of the same phenomenon. Pain is one part of suffering but not the whole. Suffering entails many characteristics not found in pain alone. Suffering involves many psychological mechanisms encompassing some attributes common to all and some specific to the individual. Suffering includes the physical aspects of pain for some but not others. Sometimes there is an existential threat. The person worries about his or her own demise, or possibly not death but dying or disability. There may be a loss of social value for the person because of the suffering. Maybe the person has lost a long-held belief or faith in another person or entity. Suffering may be short lived or long standing and it may be continuous or intermittent. Suffering may become permanent as in PTSD, a prolonged illness, or a painful experience. Suffering takes so many forms that it would be difficult to describe all of them. Every individual experiences suffering in his or her own unique way. Currently, there is a great concern with the means for controlling pain but no true understanding of how to control an individual’s pain without doing damage. There is also no thorough understanding of the suffering aspect of pain. In fact, many practitioners equate the two despite their being very different but profound in their own way. Suffering may continue even after pain is relieved. Frequently, it is the loss associated with the pain that causes the suffering—loss of function, ability, faith, belief, self-esteem, self-concept, self-image, or possibly loss of a relationship—because of the pain and its associated suffering, thereby compounding the problem. When I was in my PhD program at the University of Minnesota I was in a class related to my educational thread—human responses to health and illness. My instructor in the class was helping us develop an overview of human responses to adversity and the interventions we might initiate to address these concerns. One of the interventions was social support. There is a large body of literature about social support as a mechanism for dealing with loneliness and longevity. Recently, I experienced the effects of social support in my own time of suffering. A person near to me provided all aspects of social support, including physical comfort and mental stimulation. We tried massage, nursing and technical mentoring. We imagined every concern I might have and how to alleviate it and promote the positive aspects of the situation. In addition, I received health care support from many practitioners who, in many cases, did not recognize that they were providing social support. Also while in school and this class, we studied the salutogenic model of health care. This is essentially based on the mobilization of the natural resilience of the injured individual. It’s based on studying numerous people who had undergone severe hardship that should have resulted in despair, but which they instead overcame, resulting in survival and amelioration of their suffering. How does one provide social support and augment resilience? Developing a relationship with our patients is essential so that we can build on their naturally occurring characteristics which might attenuate or ameliorate their suffering, allowing them to resume their previous lives as free of suffering as possible. Another aspect of trying to provide comfort to our patients is that of presence. We as practitioners frequently discount the necessity and value of simple presence and its profound impact on our patients. What is presence and what do it, social support and promoting resilience have in common? Many years ago in an article I advocated “staying with” our patients at the end-of-life. That is the commonality among social support, protecting and preserving resilience and presence. To “stay with” someone means assuming their perspective, their sorrow, pain and suffering. It means “being there” for the person in their time of need. It may be as simple as sitting quietly with someone. It may be a matter of mere silence and solace in a time of suffering and possibly grief. The nurse provides this presence and stays with his or her patients, sometimes providing physical care or mental encouragement, offering advice and counsel when needed or wanted and, when the patient is willing, simply listening. At one time in nursing words like social support, salutogenesis, and presence were seen as aspects of nursing that we could incorporate into our practice as independent nursing interventions. They aren’t, though, restricted to our profession or any profession. Friends, neighbors, and family members can all exhibit or be taught these qualities. They are qualities not always valued in a highly technical society but of great benefit to those who experience pain and suffering. More than anything, the experience and management of pain and suffering require patience and perseverance on the part of both patient and practitioners. It is our ethical responsibility to attempt to relieve pain and suffering. Pain and suffering require much thoughtful intervention. Too often they are ignored or seem as insurmountable obstacles. We may or may not be able to relieve pain and suffering but we do have at our disposal methods (simple, empathetic methods) for meeting not only our ethical responsibility but our role as human beings. Comfort is nebulous but possible with recognition of the benefits of human touch—not only physical but psychic touch. Our presence bridges the barrier between pain and suffering and its relief. Pain and suffering may not always be alleviated, but we can support our patients in their journey towards health. 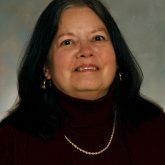 Mary Ellen Wurzbach is John McNaughton Rosebush Professor Emerita, college of nursing, at the University of Wisconsin in Oshkosh. Excellent article, thank you for posting! We need to learn and know more about the difference between pain and suffering, and direct more attention to suffering. Great article Dr. Wurzbach! Simply being present at end of life is vitally important. Are you aware of the hospice doula movement? Our hospice has started a program of trained volunteers so that individuals are not alone and have someone present to the end.